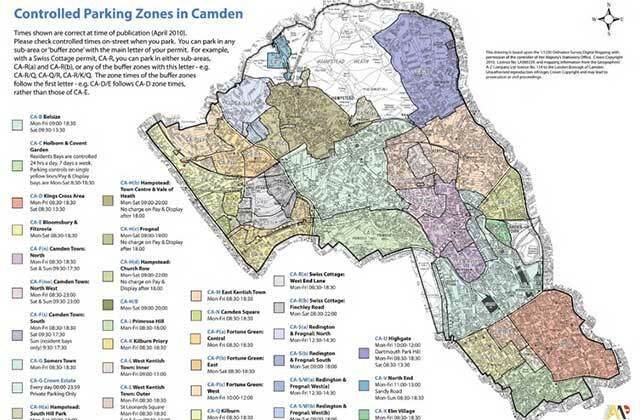 Camden has announced that it is reviewing the hours of operation of the CPZ that covers Highgate. We expect the consultation document to hit doorsteps shortly. It is expected that the consultation and the implementation of any changes will take place in advance of the May local elections but any delay could see a part of the process delayed till later in the year. This note sets out some background to the changes that have given rise to this consultation. 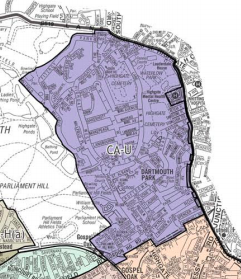 The area covered by the CA-U zone is shown on the map below (and comes from a map on the Camden site). 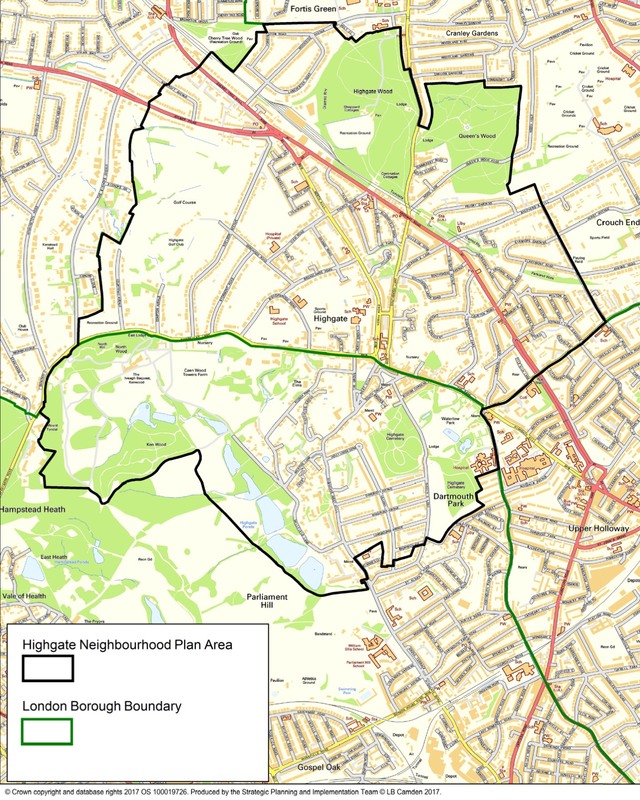 The Highgate Forum area covers the top half of the area (see this map), roughly north of the line from Swains Lane roundabout to Chester Road. The review follows a request by some groups of residents about problems they face trying to park. Problems existed before but were exacerbated by Islington’s decision (in response to resident demand) to increase the hours of operation of many zones, including those that border onto Camden and Haringey. 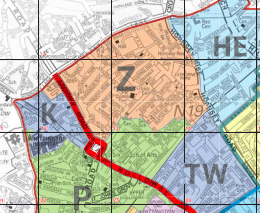 The nearby Islington CPZs are shown on the map below. The main change was to increase the hours of IS-K to 24/7 reflecting the pressure on parking that residents feel from the hospital traffic. Zone IS-P increased to Mon – Fri 8.30am – 6.30pm, Sat 8.30am-1.30pm. Zone IS-Z is Mon – Fri 10am – 2pm. 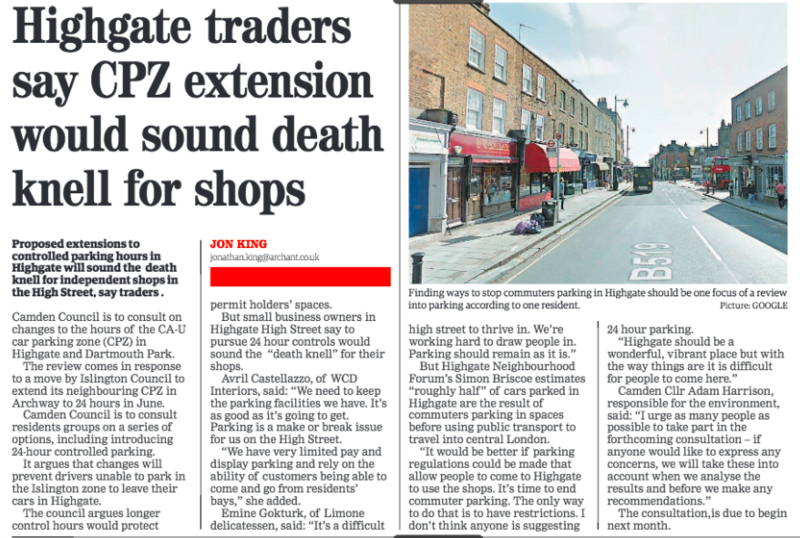 These changes have had knock-on effects on the areas bordering, in both Camden and Haringey. reduced traffic and pollution by discouraging vehicles from driving through the borough. Despite the positives, changes to any parking is a sensitive issue. Generally residents who have cars who need to park on public streets want longer controls (so that it’s easier to park) while those with off-street parking, who live on private roads/estates (in effect with 24/7 controls already) and commute into the area do not want more restrictions. As London borough maps show, even across a relatively small area there can be many (up to about 50 in Camden!) local solutions as each mini-community gets the days/times that best suit it. ALL to be done while fulfilling the spirit of what the Forum and its Plan are all about, namely to treat Highgate as one, not split it down the High Street in a way that makes no sense to anyone. We hope that Haringey will respond to requests from us and others to match the actions of Camden, and consult those who live near Islington and Camden. The prospect of the review was picked up by the Ham&High (e-edition of 28/12/17, page 5). We published a blog some days ago on the research that has been done by the Forum and others – it shows that some streets have terrible parking pressure and others do not. Meanwhile to make it easier to visit local businesses and facilities, Highgate might like to consider a “stop and shop” option (as so-called by Haringey, and shown on the map) that most other shopping parades have, including Muswell Hill, Crouch End and Hornsey. They seem to be well-received and allow a turn-over of visitors, bringing more trade. Making it easier for locals to use local facilities while making it harder for on-commuters to park seems like a good idea.